Photos by Sergio | Africa Surgery, Inc.
Sergio Burani is a Morristown travel photographer who wants to make a difference. Income from his work is entirely donated to Africa Surgery. He traveled to Sierra Leone in 2012 to document Africa Surgery’s work. 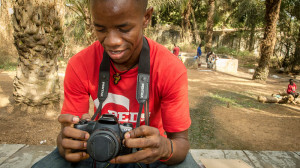 During this excursion, he taught photography to young Sierra Leoneans, to help them gain a useful skill that could help them find a job. Sergio serves on Africa Surgery’s Board of Trustees as Vice-President. Most of Sergio’s photos are available for purchase: Fine Art Prints and Note Cards, digital downloads, stock, and more. Visit his website to select the photo(s) you like. Support Africa Surgery by buying or licensing Sergio’s work, for yourself or as a gift. Available for assignments: portraits, photojournalism, food, family events. Call for an estimate. Sergio is an experienced photography instructor. Proceeds from his teaching activities also fully benefit Africa Surgery. Click for details on his photography courses.